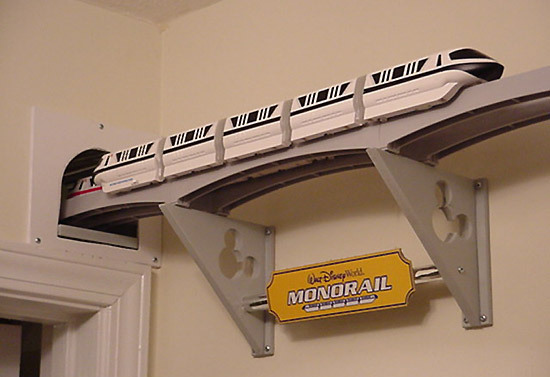 Robert Crouse really likes the Walt Disney World monorail toys. Many of us do. Some of us put them up around the Christmas tree, others just run them around their floors in various configurations. 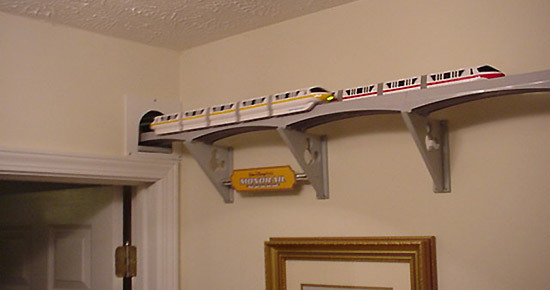 Robert has taken his toys to new heights though, and he kindly has shared photos of his multiple-room Mark VI monorail in Dallas, Georgia! Here's Robert's layout. Looks like a lot of track to acquire and install! 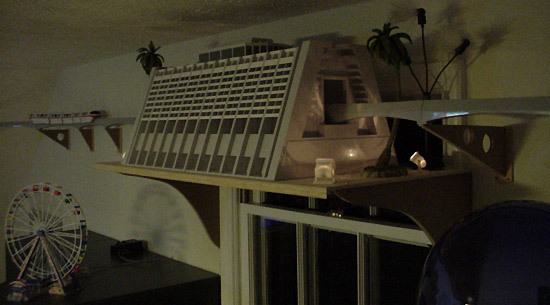 The monorail not only circles the room, but it also features several accessory toys, such as this Contemporary Hotel. Note the custom lighting. 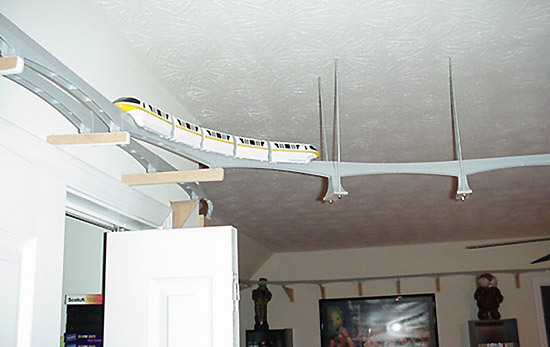 Here's a good look at the various ways the Crouse House Monorail is suspended from the ceiling and supported from the wall. 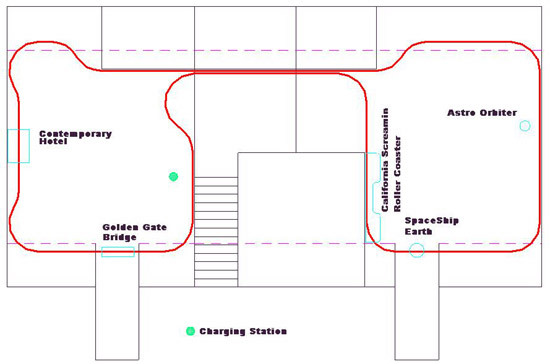 What, a monorail tunnel? Yes, holes were cut through walls to get his trains from one room to another. 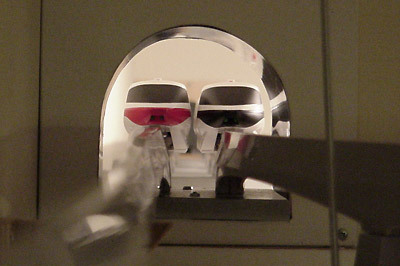 Here's a neat shot of two trains passing at the room-to-room tunnel. Notice any hidden Mickeys? Nice work Robert Crouse! I'm sure your hard work will inspire others to lay some track of their own!